Still sporting her tiara atop perfectly coiffed blonde curls, Mikayla Holmgren couldn't stop smiling as she recalled what it was like to not only compete in but receive two awards at the Miss Minnesota USA pageant. "I was super shocked, I was in tears," the 22-year-old from Stillwater, Minnesota, told BuzzFeed News over FaceTime from her celebratory dinner late Sunday night. "I went from a special needs pageant to the biggest pageant in the world. It's kind of crazy." 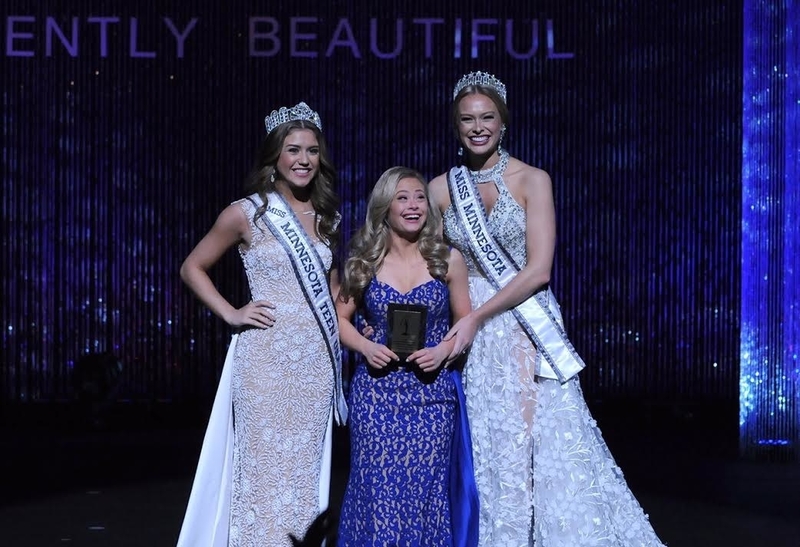 In addition to winning the Spirit of Miss USA Award and the Director's Award, Holmgren also made history as the first woman with Down syndrome to compete in a Miss USA pageant nationwide, according to the Miss Universe Organization. "It is a lot of work," she said, laughing. "My mom and I were always shopping and then the mock interviews and getting ready and practicing everything and the makeup and hair. Just look at my face!" Holmgren, who has been dancing since she was 6, says she adores performing in front of crowds and draws strength and joy from the stage. She is currently studying at Bethel University's Inclusive Learning and Development program and plans to graduate in 2018. She lives on campus, interns at the university’s child care center, and is also an ambassador for Best Buddies, a nonprofit that fosters relationships and life skills for people with intellectual and developmental disabilities. After winning Minnesota Miss Amazing, a pageant for women with disabilities, in 2015, Holmgren said she knew she wanted to take on a bigger challenge. So when she got a letter in the mail about Miss Minnesota in April, she "bugged her mom" for days to let her apply. "I wrote that she had Down syndrome and thought they would pass her by but they decided they wanted her to be a part of it," her mom, Sandi Holmgren, told BuzzFeed News from the restaurant. "I didn't realize it was part of the Miss USA and Miss Universe pageant and it took me a few weeks to realize the enormity of it and what a big deal it was for her to be in." Dressed in a blue gown, a shocked and elated Holmgren accepted her awards Sunday as the audience gave her a standing ovation. 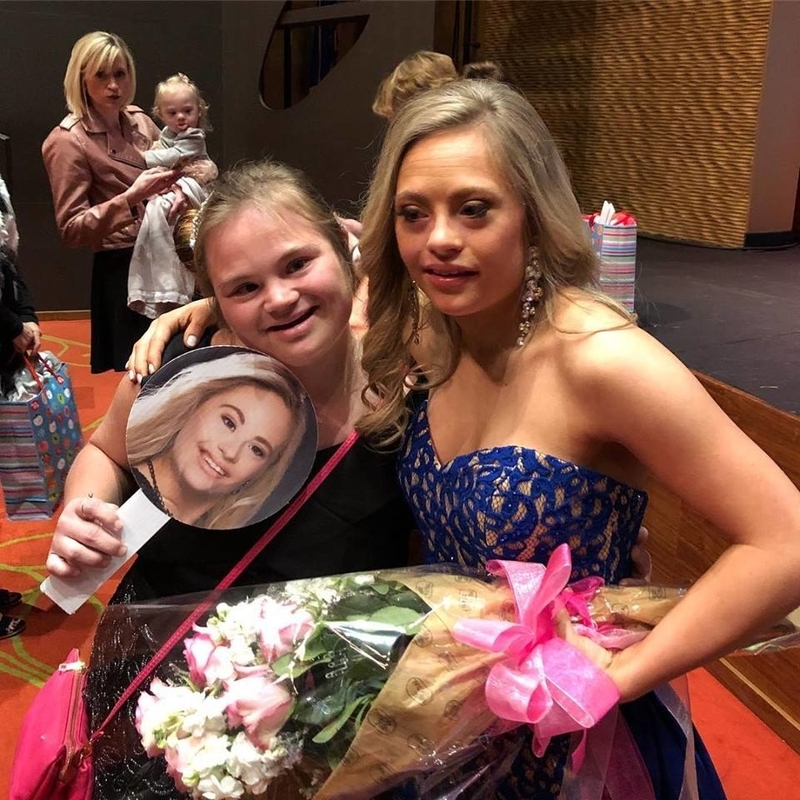 After reading about Holmgren's participation in the pageant, the Pioneer Press reported that several women brought their daughters, who also have Down syndrome, to watch her participate in the event. Holmgren says she wants to "blaze the trail" and show a different side to Down syndrome, where women and girls with developmental disabilities can participate in the same beauty and talent events as anyone else. "I want to do some modeling and more dancing," she said, noting that she choreographs all her routines. "I have a big future."